The Gulf Wind was certainly an appropriately named train as it literally hugged the Gulf Coast along its route between New Orleans and Jacksonville, Florida. 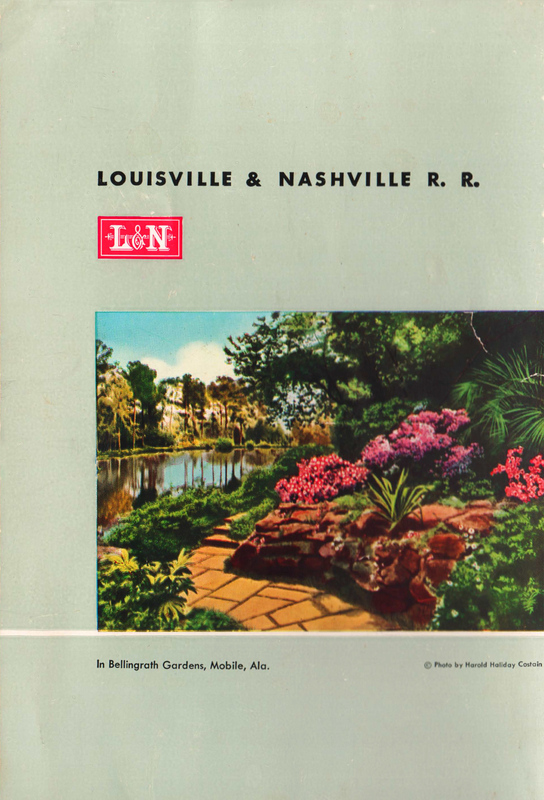 The train was made possible as a joint operation between the Seaboard Air Line and Louisville & Nashville, two systems synonymous with the South. The Wind, which featured diesel locomotives from the start, was meant to replace an older heavyweight train that had been steam powered (while not initially fully streamlined it later achieved this status). For many years the train remained a relatively successful operation given that it had little competition in its particular market. The train survived through the merger of the Seaboard Coast Line in 1967 and was actually still operating by the early 1970s. However, upon Amtrak's start-up on May 1, 1971 the new national passenger carrier decided that the train would not be part of its new network. The Gulf Wind was actually not the first train to serve the New Orleans to Florida market. The L&N and Seaboard had been working together to provide service over the route since the early 20th century with a train known as the New Orleans-Florida Limited, which typically used heavyweight cars and steam power. 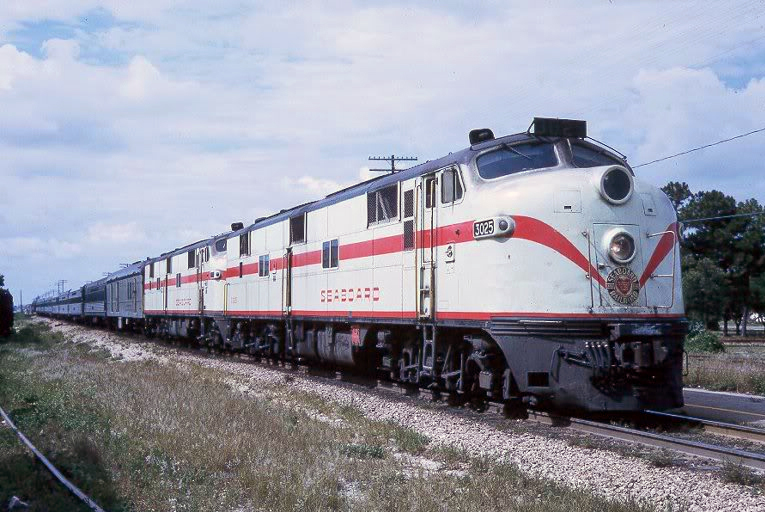 However, as the streamliner era hit the industry after the 1930s and the value of the sleek trains became recognized (drawing folks back to the rails) the L&N and SAL decided to upgrade their Gulf Coast train. Had it not been for World War II the lines would have likely relaunched the trains sooner. As it were, however, the all new Wind was inaugurated on July 31, 1949 departing New Orleans for Jacksonville. Interestingly, while the train often carried streamlined equipment (some of which was not its own but through cars from the Southern's Crescent) it did not always contain matching equipment. Since the L&N and Seaboard provided their own cars for the train this meant that it sometimes featured both stainless-steel Budd Company (built for the SAL) and dark blue, stainless-steel sheathed American Car & Foundry equipment (built for the L&N). A typical consist on the train was around seven cars and included a baggage, reclining seat coaches, a 10-section lounge, a full service diner, a 6-section/6 double-bedroom sleeper, and an observation. By 1954 the through coach, sleeper, and observation sleeper were streamlined while the head-end cars, coach baggage and two diners were usually heavyweight. Additionally, it was not uncommon to see a heavyweight car or two mixed in on the train at any given time. It should be noted that on the L&N portion of the route the Wind did not operate alone but was usually combined with other runs as a means of reducing operational expenses. For instance, the Gulf was typically combined with the Pan American west of Flomaton, Alabama (where the L&N's northbound main line met its Florida line to Chattahoochee) to New Orleans while the eastbound train coupled onto the Piedmont Limited as far west as, again, Flomaton. 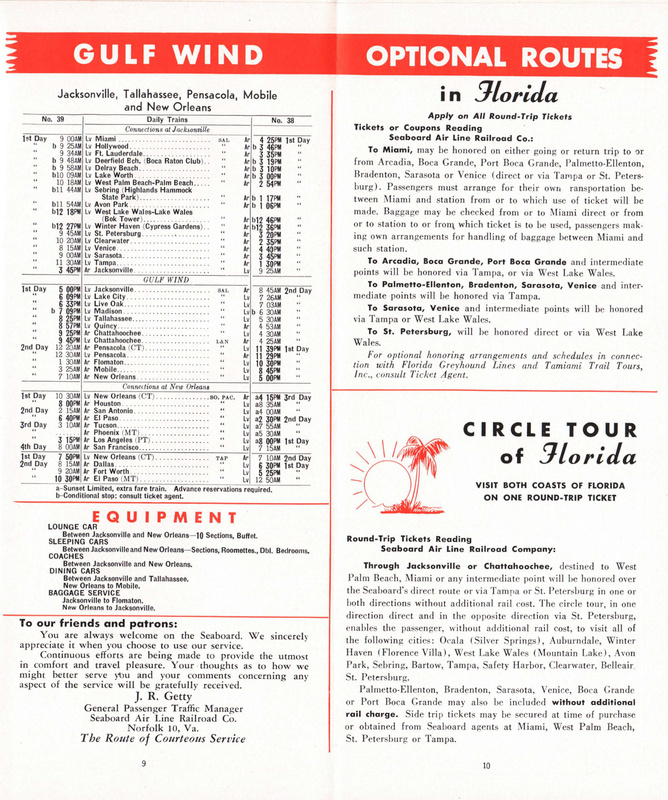 Additionally, the Wind had available connecting service on the Seaboard south of Jacksonville to both St. Petersburg and Miami; finally at New Orleans passengers had the option of taking connecting trains to the far west (such as Los Angeles) aboard both the Southern Pacific and the Missouri Pacific. The Gulf had a 15-hour schedule between New Orleans and Jacksonville with the eastbound run departing at 5:00 P.M. and arriving at 9:00 A.M. the following day. The westbound version departed Jacksonville at 5:00 P.M. and arrived in New Orleans at around 7:10 A.M. 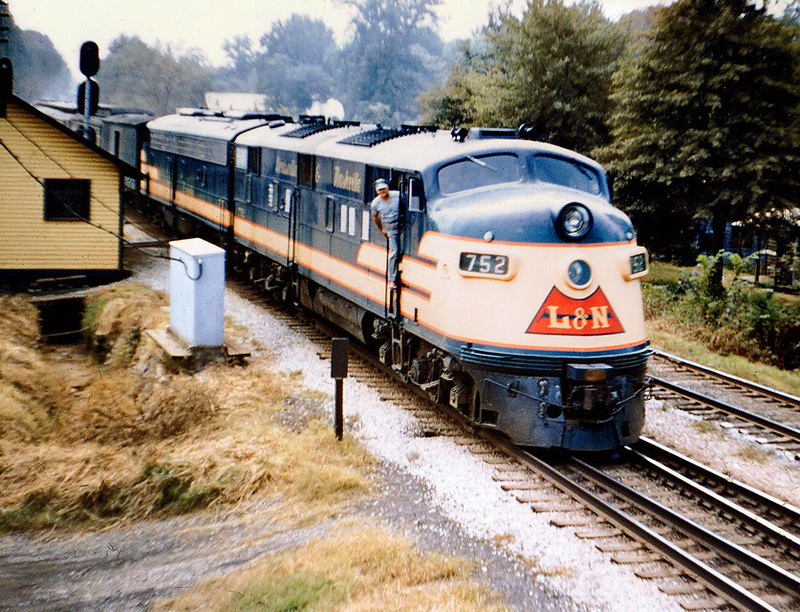 The train was always scheduled so as to precisely meet for connections with the above mentioned L&N trains, as well as connections to the SAL's flagship Silver Meteor at Jacksonville. From the beginning the train was always diesel powered; on both the Seaboard adn L&N this usually meant either EMD E7s or E8s. By the 1960s the Gulf was seriously feeling the affects of declining ridership and the railroads cut back accordingly. After 1967 the SAL had merged with the Atlantic Coast Line, forming the Seaboard Coast Line and the train's daily departures were sliced to just three days per week and usually included no more than a grill car, coaches, a diner-lounge, and sometimes a sleeper. As the Louisville & Nashville continued reducing services it changed the train's departure from New Orleans to late evening, around 8:30 P.M. Despite the train's declining service, however, it remained a very nice operation with well-maintained equipment right up until the end. The Wind's final run came on April 30, 1971 as Amtrak decided not to retain the train. However, part of the route between Mobile and New Orleans was kept, as the Gulf Coast Limited until being canceled in 1997.